Today was a perfect blue bird day, which is always awesome! 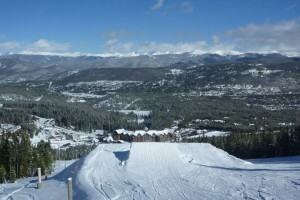 I went up to Breckenridge for a few park laps as both pipes had comps happening. 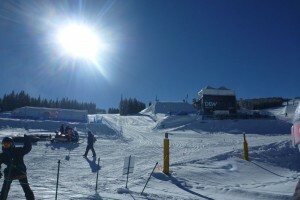 They have built up Brecks main park that is open which now has about 7 jump features in a line so you can get a few more hits done in one run! After a fun morning riding Alex, Michaela and I had a nice afternoon walking around Main street in Breck doing a little bit of shopping. Tomorrow ill be back in Copper’s pipe training hard for my first comp of the season on Sunday..